Paul Douglas Freeman has conducted outstanding classical orchestras in many countries during his long career. 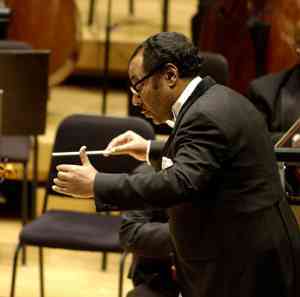 One of the few African American conductors in the field of classical music, he is best known for his founding of the Chicago Sinfonietta, a classical orchestra widely recognized during the past 25 years for both its ethnic and racial diversity and its attempt to broaden the appeal of classical music to “non-traditional” audiences. Born January 2, 1936, in Richmond, Virginia, to a music-loving family of modest means, Freeman and his 11 siblings enjoyed symphony and opera radio broadcasts. Even though his father ran a small produce store, he and most of his siblings were given instruments early in their childhoods to encourage the study of classical music. Paul began piano at five, then moved on to the clarinet and cello. When his high school band conductor became ill, he directed the performance at age 17, obtaining his first experience with conducting. Freeman entered the Eastman School of Music on a scholarship in 1952. There he met his wife Cornelia, a piano and organ major. His BA degree in 1956 was followed a year later by an MA degree. He then received a Fulbright Fellowship to study operatic and orchestral conducting at the Höchschule für Music in Berlin, Germany. Freeman returned to Eastman for a doctorate in music in 1963. The conducting future in the United States looked uncertain in 1963: he was both black and an American where most major orchestras throughout the nation were led by European-born conductors. Gradually his career and reputation flourished. Eventually he was associated with over a hundred orchestras in 28 countries in North America, Europe, and Latin America. By 1987 Freeman had returned to the United States and founded Chicago Sinfonietta. He also served as its first director and conductor. When he retired 24 years later in 2011, the Sinfonietta had achieved its primary goal: to promote diversity and inclusiveness throughout its organization, its musicians’ roster, its repertory, and its audiences. Today nearly half its professional musicians are of color. Its repertoire includes the work of little known black composers and its performances often incorporate contemporary music, dance, and art. Fourth and fifth grade students study at its Chicago facilities and attend its concerts for free. The organization claims that nearly half of its annual audiences are people of color. Under Freeman’s direction, the Sinfonietta, clearly the most racially and ethnically diverse classical orchestra in the United States, traveled and performed in Europe, Asia, Latin America, and Africa. Freeman himself became one of the most recorded conductors in the United States; 200 orchestral albums were made during his nearly half-century long career. In 1975 Time Magazine said his Columbia Records were among “the ten top classical records of all time.” His awards include the Mitropoulos International Conductors Competition for 1967 and the Jubilate Award which is Canada’s highest award for music education. He holds numerous honorary doctorates. Paul and Cornelia Freeman live in Chicago. Their only son, Douglas Cornel Freeman, born 1972, resides in New York City. D. Antoinette Handy, Black Conductors (Metuchen, NJ: Scarecrow Press, Inc., 1995); ‘Paul Freeman,” http://www.africlassical.com; John von Rein, “Freeman bids farewell to the orchestra he made the most diverse in the nation,” Chicago Tribune, May 18, 2011; “Music Makers: Paul Freeman,” http://www.thehistorymakers.com (video interview April 24, 2003).